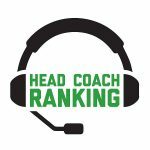 Once we’ve graded the head coaches for that week’s performance, we’ll rank them 1-32, using their numerical grade, which will be on a 1-10 scale, with 10 being best. And we’ll have content that shows how they’re either progressing or regressing during the year. Weekly rankings are posted every Tuesday of the NFL Season.